The Hamdan Bin Mohammed Heritage Center (HHC) launched the first edition of the Camel Trek in 2015. HHC continued to organize the Camel Trek every year, thanks to the rising demand of participants willing to live this extraordinary experience. This journey into the past, lasts for about 11 days. Although the first edition of the Camel Trek was solely launched to young Emiratis in an effort to promote the country’s intangible heritage, yet, registration to the second edition was open to all nationalities residing in the UAE. Willing participants are given full training to ride the camel and must fulfill certain conditions to embark on this desert journey. The Camel Trek realizes part of the Center’s vision to revive heritage and relive the past, endure the long distances on camel backs, and to pass on UAE’s heritage to younger generations. 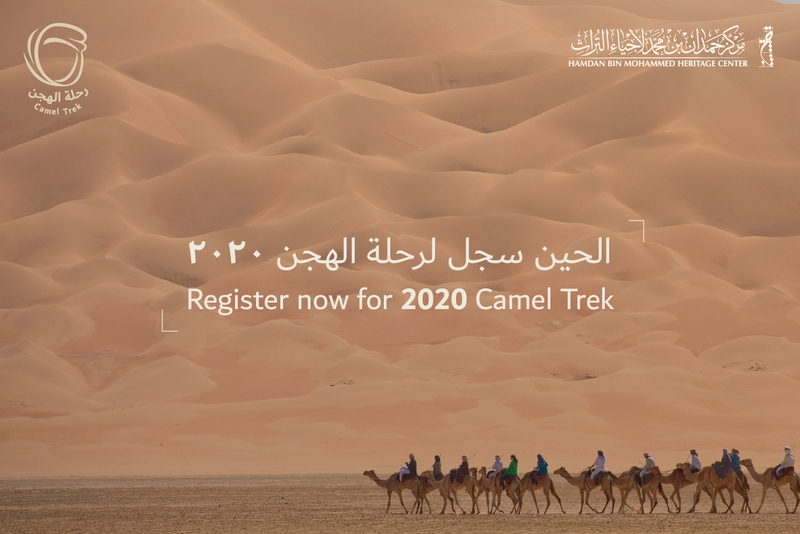 To register for the 2019 Camel Trek, kindly fill the below form.